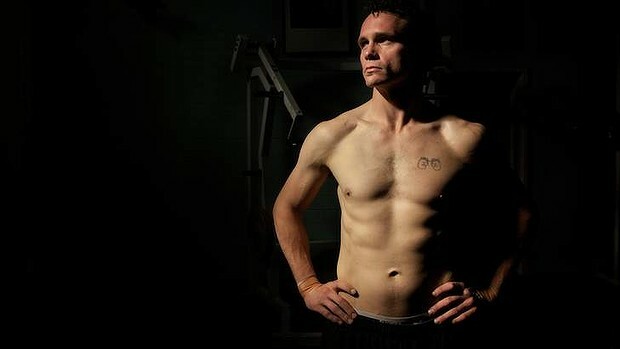 Daniel Geale is set to rebuild his career the gentleman's way. One year ago Daniel Geale, then the middleweight champion of the world, was portrayed as the knight who'd slayed the dragon when he defeated Anthony Mundine, and his path to what was hoped would be even greater glories was in place. A Sydney Olympian, father of three, husband and the champion who drove the bus for amateur fighters, Geale was viewed as someone who, in this age of Xbox and Gen Y, displayed the decency of athletes from a bygone era of Brylcreem and Saturday movie matinees. He also epitomised all that was good about a sport that, despite having offered such giants of men as Jack Dempsey, Jack Johnson, Gene Tunney, George Foreman and Muhammad Ali, was on the ropes in the early years of the 21st century after discredited bouts and tin gods falsely paraded as bronze statues. He was the beacon in the fog. Geale, after all, responded to Mundine questioning the Aboriginality of his children in a pre-fight press conference by beating him in the ring with little fuss. Even in the last round of a battle built on a bedrock of bitterness, Geale offered Mundine his glove, the universal acknowledgement of respect for a fight well fought before the final round. Mundine ignored the gesture but Geale's explanation for the reason he'd set himself up to be snubbed called for his canonisation as the saint of sportsmanship. ''I do what is right,'' Geale told Fairfax the morning after his victory while he walked his kids to school. Boxing, is, however, a kingdom built on sand because one flash punch or a judge's poor interpretation can bring it crumbling down. With talk of super-bouts - his being rated pound-for-pound the world's best middleweight and the chance to finally fight in America against the Englishman Darren Barker - Geale lost it all through what was described by some as a tough decision. Geale will attempt to rebuild from the ruins on February 19 against Sydneysider Garth Wood, a former first-grade rugby league player who won fame as winner of The Contender Australia reality television show and for becoming the first Aussie to stop Mundine - a point he made after he admitted to being the ''second favourite'' in a two-horse race. It's a risky fight for Geale but Wood attempted to add some venom to it when he raised an ancient grudge in the press conference. His job not completed, Wood, who sparred his upcoming opponent on Melbourne Cup Day, then attacked the fibre that made Geale unique: his sportsmanship. Geale showed no reaction to the slur, but he admitted it stung. It also meant the grind to climb back to the top needed to start by slaying another dragon.